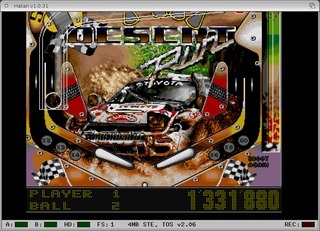 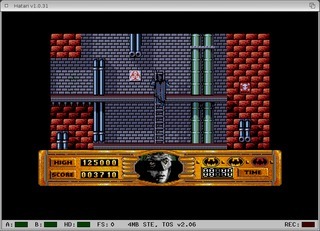 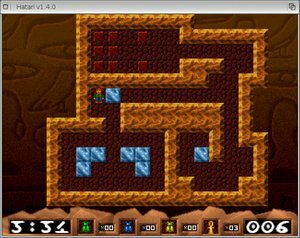 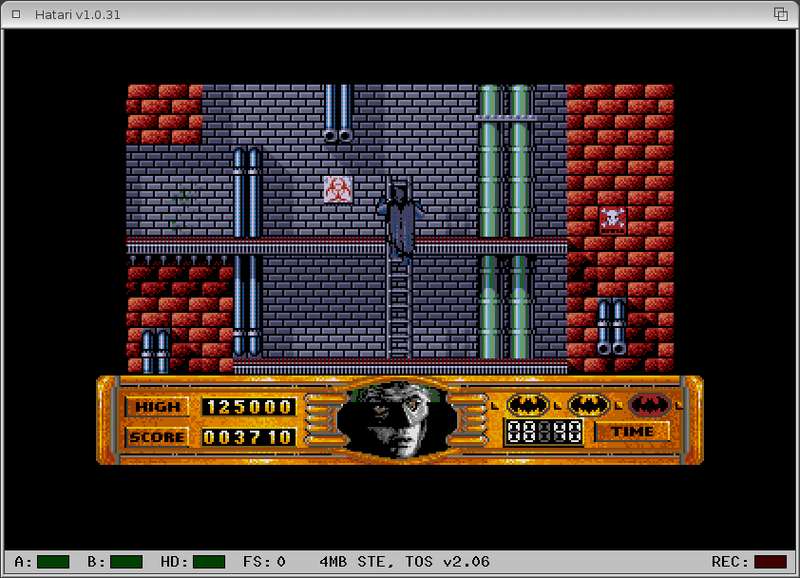 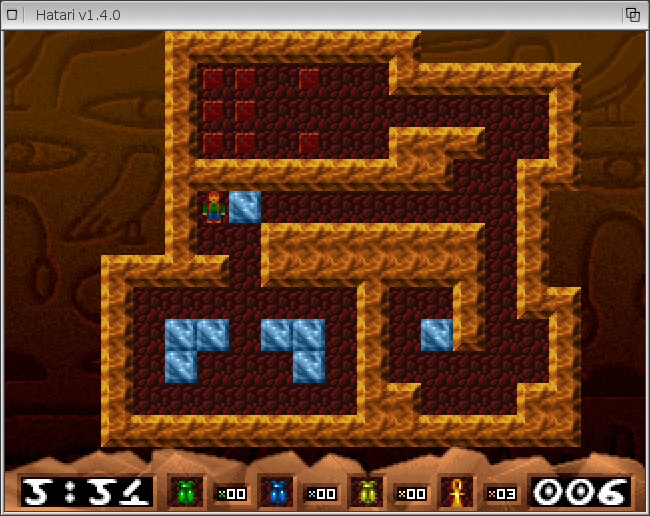 Hatari - Atari ST/STe/TT/Falcon emulator on AmigaOS - screenshots. 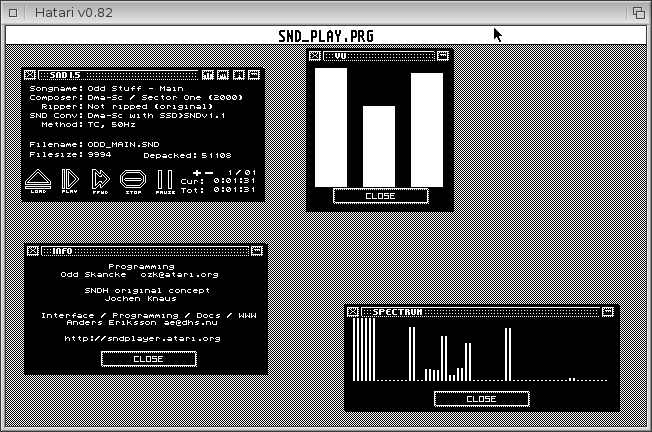 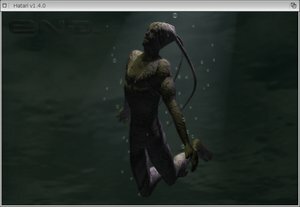 SND_Play running on Black and White screen. 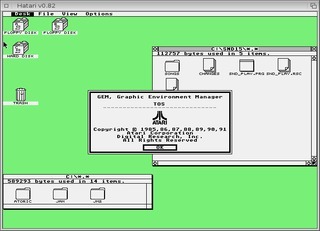 Creators part of 20 years Atari ST production under the Hatari main menu.